The Life Of Faith: The secret is out! Hooray! I am so excited to (finally) be sharing the exciting news that our family will be blessed with a new member in September 2015! Those of you who have prayed with me through my recent miscarriages know just how truly prayed for this little life is and we are thankful to God for a healthy baby now just about 19 weeks old! It's no secret that there's a certain two year old who is THRILLED about her status as a big sister. She has already declared that she has a baby sister in mommy's belly. We will find out May 4th! I hope you will all pray along with me for this little life that God is knitting together and stay tuned for some updates and gender reveal next week! Oh, congratulations!! That is such exciting news! :) Can't wait to hear if it's a boy or a girl!! Congratuations! How exciting to have new life! Looking forward to the journey you'll be sharing. Love the chalkboard message next to your beautiful daughter. Very cool! Thank you Michelle! Yes, we are so excited! What wonderful news!!! I can't wait to see updates. Our miracle babies are definitely something to be excited about! 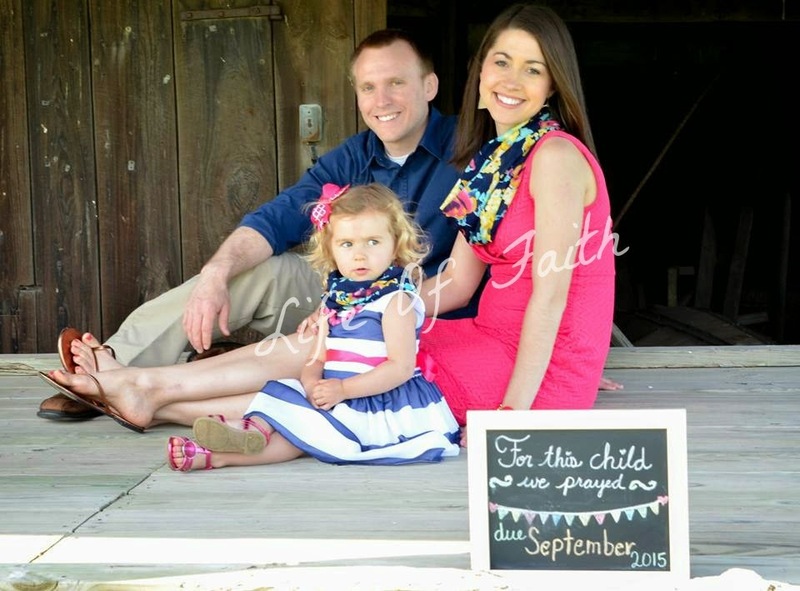 Your family is precious :) Congratulations on your little blessing on the way!! Yay! That's such happy news! Congratulations!! Wonderful news!!! Congratulations to you and your family! 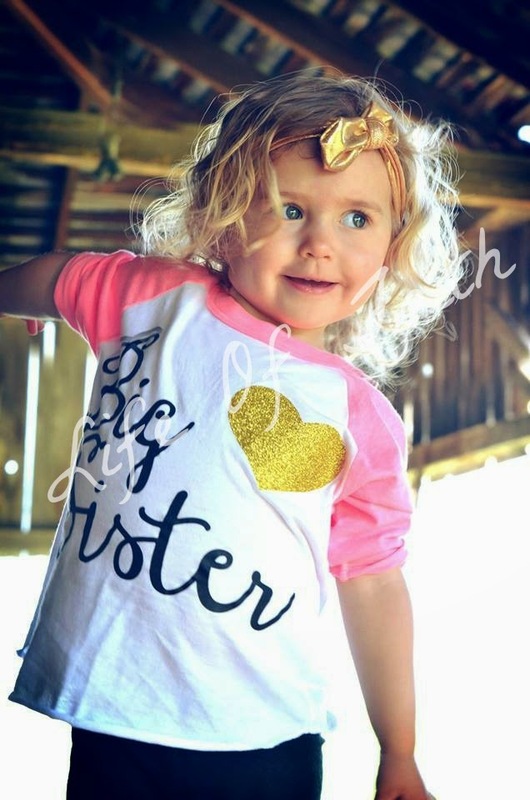 What an awesome blessing from the Lord :) I love that your daughter has already predicted she's having a baby sister! 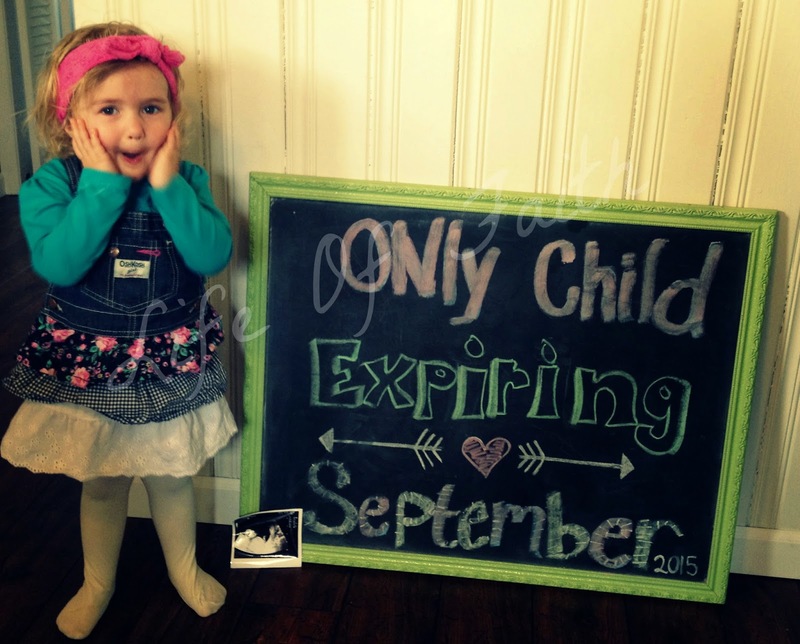 Ok, this is the first "Only child Expiring" announcement I have seen and I LOVE it! May the Lord bless your growing family! !